From visiting the ancient rock churches of Lalibela to encountering the unique indigenous cultures of the Omo Valley, from scaling active volcanoes in the Danakil Depression to getting lost in the tiny cobbled streets of Harar, Ethiopia really is the hidden gem of Africa. A dazzling land of diversity, put quite simply, there is never going to be enough time to see and do everything you’d like to in Ethiopia. Add in the fact that this country is HUGE and that getting around it can be, well… an adventure, and it’s easy to understand why having a rough itinerary ahead of your visit there really can help you get the most out of your trip. 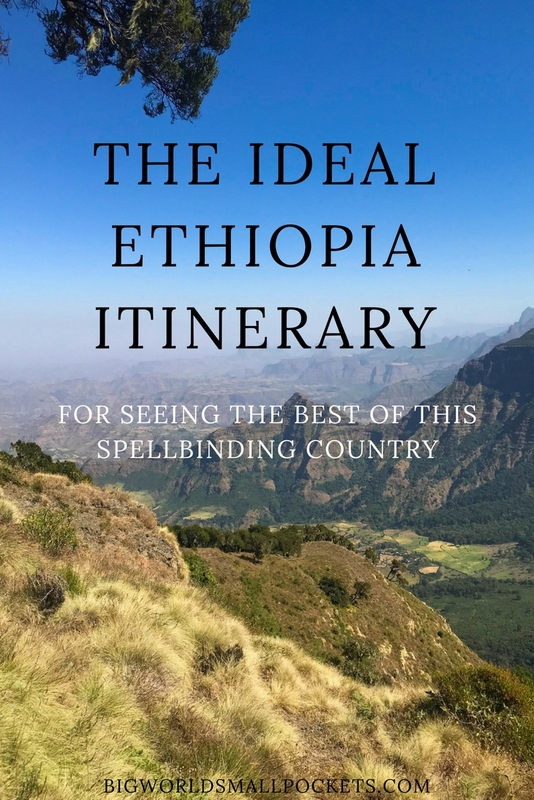 And to make things even easier, especially is this is your first time visiting Ethiopia, I’ve compiled my top detailed itinerary – split into 2, 3 and 4 week lengths of time – to help you craft the perfect trip. Giving you plenty of scope when it comes to constructing your ideal Ethiopia itinerary, I hope this plan will ensure you really do see the best of this spellbinding country. 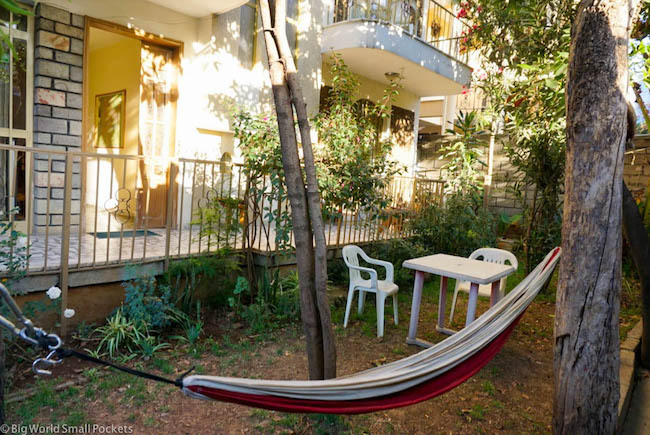 A great backpackers in Addis Ababa with free breakfast, tons of hot water and spotlessly clean rooms. Check out my full review of Mr Martin’s Cozy Place here. 9 times out of 10, it’s likely you’ll be arriving into Ethiopia by plane, meaning Addis Ababa will be your first stop. The 4th largest city in Africa and the 5th highest in the world, Addis Ababa can be a chaotic, crowded and heady introduction to any Ethiopia itinerary! Nevertheless it’s almost certainly worth a day of your time to explore, with some good parks and a collection of museums offering more than enough amusement for a day. Top of the list is the National Museum of Ethiopia – which contains the plaster cast skeleton of Lucy (one of the earliest humans ancestors ever found at 3.2 million years old) and Mezcal Park – a great place to head in the late afternoon when tons of locals turn out to complete their exercise regimes! 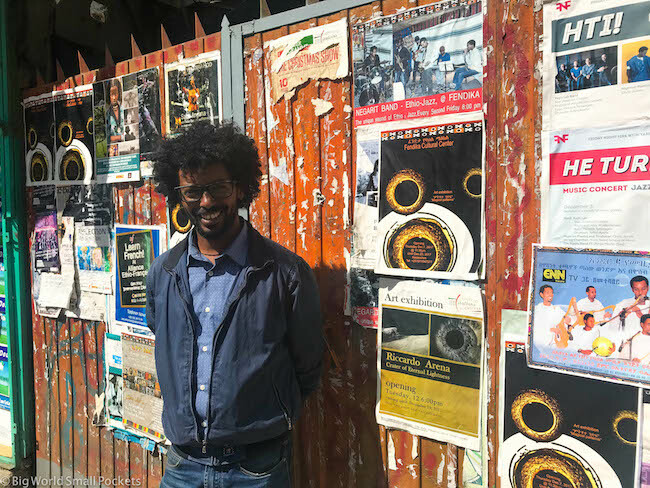 In the evening, you must get to Fendika – Addis’ leading cultural hub, where nightly concerts are a great introduction to the progressive Addis arts scene spearheaded by the wonderfully talented and lovely Melaku Belay. 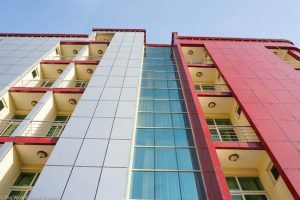 An BRAND NEW luxury accommodation choice available for near budget prices, the Solyana Hotel is the perfect opportunity to splurge a little during your time in Ethiopia and be treated like royalty! Check out my full review of Solyana Hotel here. The commercial centre of the Ethiopia’s northwestern Amhara region, Bahar Dar is a busy city of around half a million people, but with a definite laidback feel that I found really friendly. 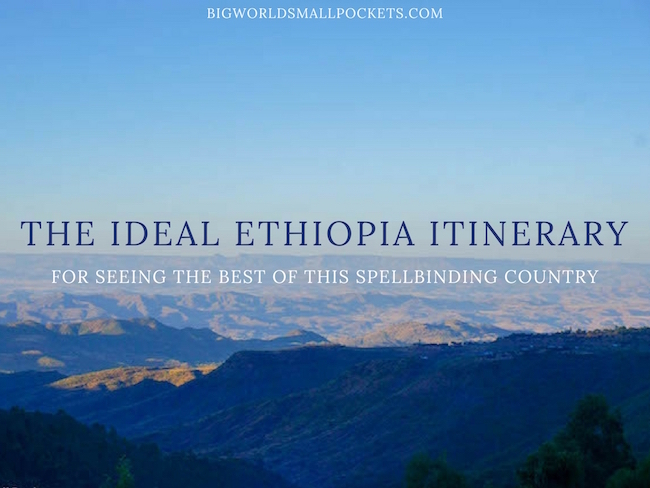 Possibly this has something to do with the fact that the city is set on a lake (us water folk are always more chilled) and sits at a lower altitude than many of the other destinations in this Ethiopia itinerary. Yep at roughly 1800m above sea level, Bahar Dar is low-lying in Ethiopian terms and as such the balmy climate and palm tree lined streets certainly impart a holiday feel. If you’re on a short time frame, the best idea to is fly from Addis Ababa to Bahar Dar, where the airport is just a short shuttle ride from the centre of town. Otherwise regular buses ply the 10 hour route from the capital, which although long and arduous, does have some fantastic scenery to lighten the load! 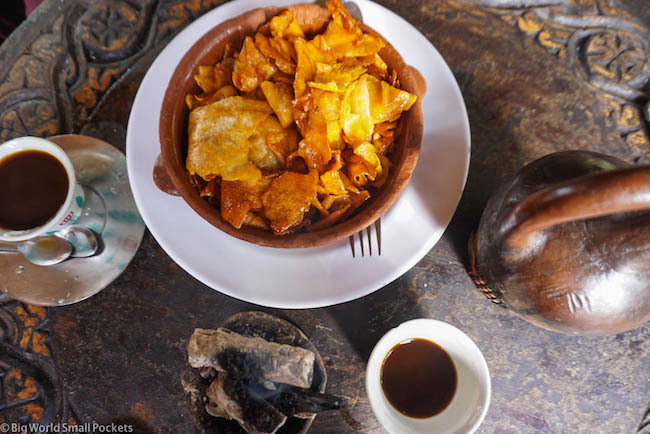 After your arrival into Bahar Dar, spend the day exploring this fun city, including enjoying some of the top eating spots of Wude Café, Lakeside Restaurant and Misrak, which all offer you the chance to sample some delicious local coffee and food. In the evening, there are 2 traditional houses that offer the perfect place for a beer accompanied by traditional music and dancing (way more fun than it seems and generally full with locals rather than tourists!). My favourite is Checheho. The next day get ready for a full day sightseeing as you head out to Bahar Dar’s 2 main attractions – Lake Tana and the Blue Nile Falls. 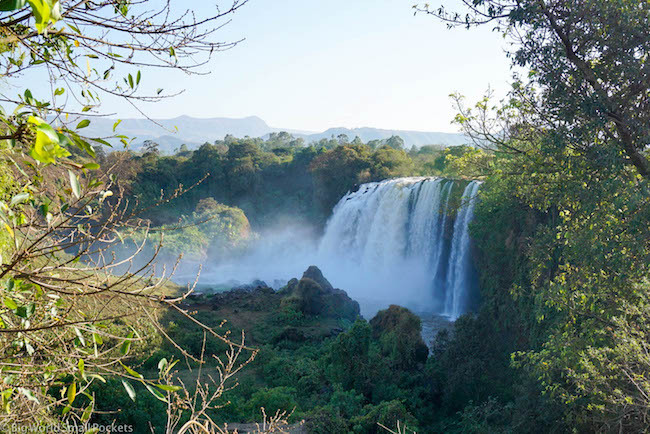 To learn more about these 2 great destinations in Bahar Dar, check out my post on Exploring Ethiopia’s Lake Tana and Blue Nile Falls with ETT. 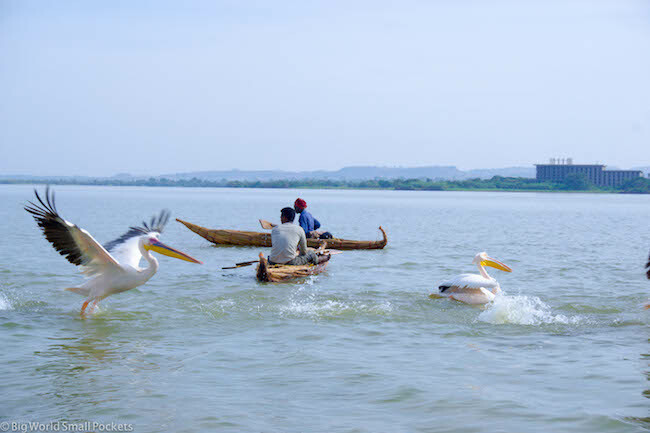 Lake Tana and Blue Nile Falls are 2 separate trips, but if you take a tour, they normally combine them into 1 full day excursion – you’ll take a boat trip and monastery tour early in the morning (before the wind and the waves pick up) and then head out to the Blue Nile Waterfalls in the afternoon. Both places are remarkable and well worth exploring for their cultural and natural value. 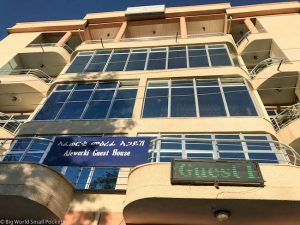 A really well-located budget accommodation option in Gondar is L-Shape Hotel, who offer ensuite rooms with delightfully hot water! A land of Medieval mystery, Gondar was once the centre of an important trading empire and the faded remains of this time, as well as the friendliness of the city, make it a great destination to include on any Ethiopia itinerary. Only a 3 hour drive from Bahar Dar, catching an organised shuttle or public minibus between Gondar and Bahar Dar is easy and straightforward and means you’ll arrive close to the city centre. If you set off early from Bahar Dar, you’ll have enough time to check out Gondar’s main attractions – the 16th Century UNESCO Royal Enclosure in the afternoon. 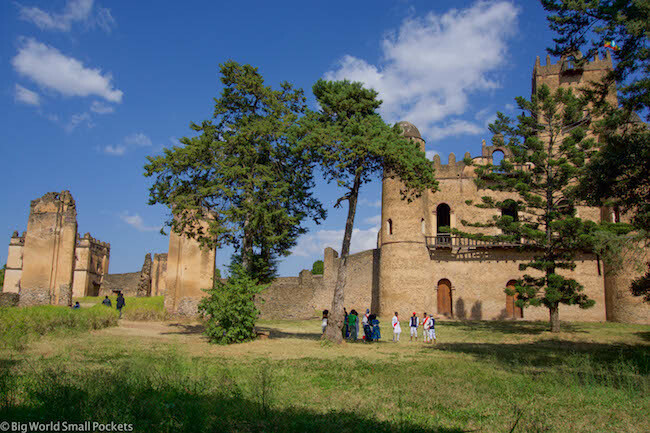 Essentially an enclosed group of crumbling castles, it’s this place that earns Gondar its title as the Camelot of Africa and is well worth a few hours of your time. With a 200 birr entrance fee, guides are optional here, but can be found at the entrance gates if required. Otherwise, the Ethiopia Lonely Planet has a good level of information that allows you to wander around and check out the castles by yourself – although do be warned there’s little additional signage! 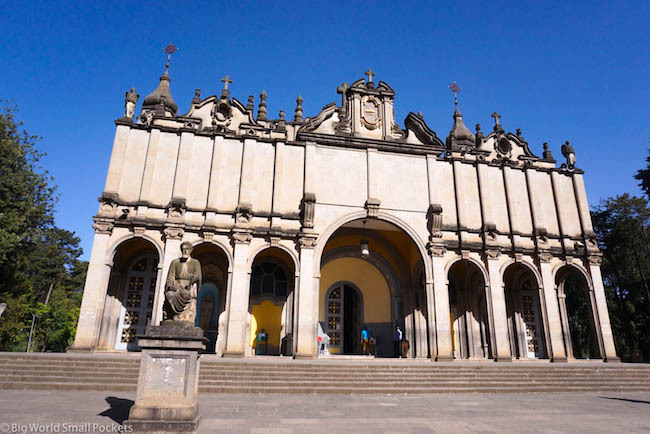 In addition to the Royal Enclosure, you can also visit Fasiladas’ Baths (included in the same entrance free) and Debre Berhan Selassie (additional entrance fee of 100 birr) a beautiful church in a peaceful setting a 10-15 min walk from the centre. After your sightseeing afternoon, I recommend heading to the Goha Hotel for sunset views, before making it to the excellent Four Sisters restaurant for dinner. Here you can eat like a King, or Queen, for just a few dollars, with an excellent chance to enjoy some Ethiopian honey wine too. On Day 4, I suggest staying another night in Gondar, but heading out on a trip to the nearby UNESCO Simien Mountains early in the morning. 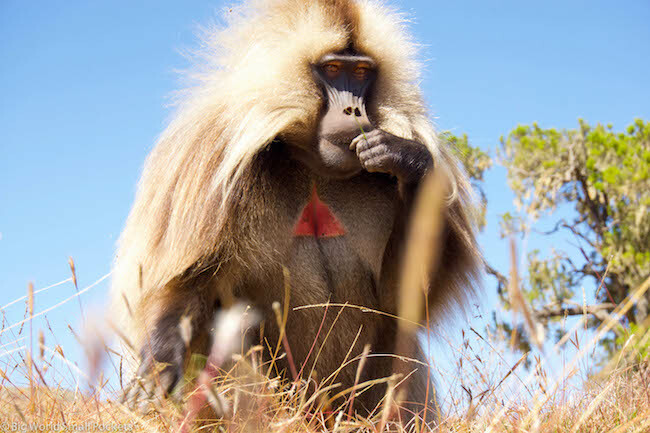 One of Ethiopia’s first established national parks, the Simien Mountains offers some incredible hiking and wildlife opportunities, including a chance to see the endemic Gelada Monkeys. It’s a good idea to set off early to the Simien Mountains, as the park is a 2.5hr drive from Gondar. It also sits at a high altitude – over 3000m – and, as such, can get cold even in the day here, so make sure you pack accordingly with long sleeved top and trousers. That said, you’ll be treated to some stunning views as you walk gentle paths which take you higher and higher up the range, as well as end your day at a great waterfall lookout. 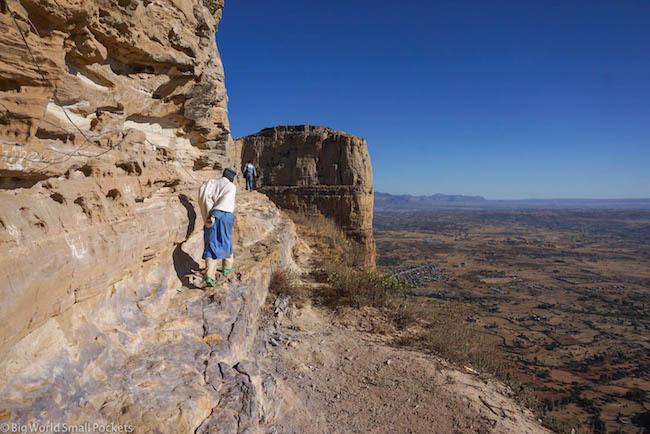 You must have a guide and scout accompanying you during any trip to the Simien Mountains and organising a tour from Gondar is the best and cheapest way to do this – with lunch, transport to the park and your entrance fee thrown in. Prices start from around $150pp for a day trip, but haggle well enough and you should be able to swing one for half that price, especially if you arrange it the day before! 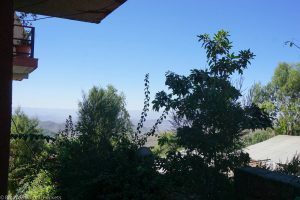 The most central budget option in Axum, Atse Kaleb has a great courtyard / garden area and free wifi. The rooms are a little faded, but you can’t quibble at the prices given you’ll have an ensuite bathroom and double bed. 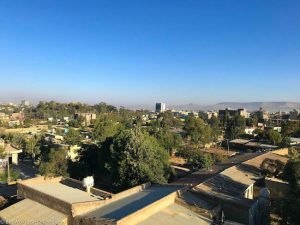 The beautiful and very safe town of Axum is one of my favourite in Ethiopia and another must-see of any Ethiopia itinerary. The centre of the one of the great ancient civilisations of the world (who knew?!) 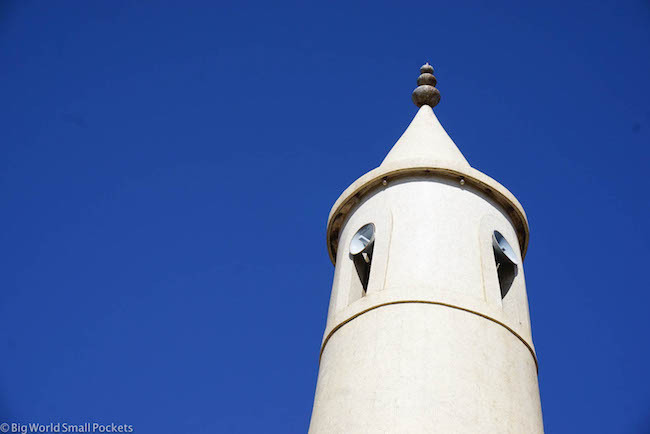 Axum is full of historical sites, many which date from as long ago as the 1st Century, including the supposed tomb of Balthazar – one of the 3 Kings present at Jesus’ birth and the possible ruins of Queen Sheba’s palace! With many, strong religious practices still upheld by the locals here, wandering the cobbled streets of Axum is a little but like stepping into a living museum – one without queues, other tourists or gift shops! Again, if you’re short on time, I recommend flying between Gondar and Axum, otherwise the long and hair-raising bus journey offers more great mountainous scenery for a fraction of the price. 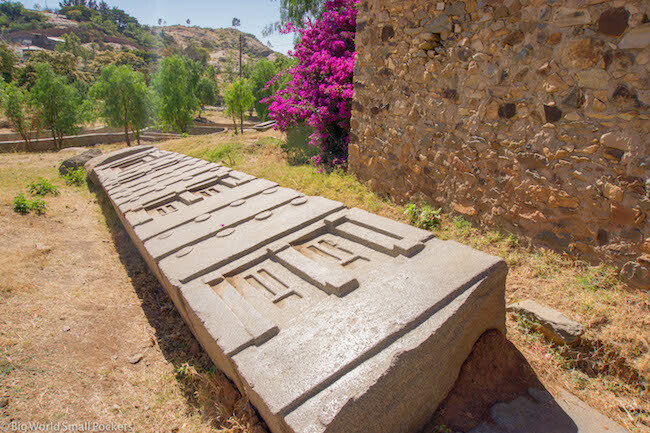 Once in Axum, head straight to the Northern Stelae Field to explore the ancient towering obelisks and ancient underground tombs, which make up the main historical attraction in town and are located right in the centre. The entrance ticket here is 100 birr, but is valid for 3 days and includes a number of other sites in town including Queen Sheba’s Bath and Palace, King Ezana’s inscription and King Kaleb’s tomb. Paying for a guide (600 birr), who can be found at the entrance, will definitely enhance your experience in Axum, but isn’t strictly necessary if you’re on a tight budget. You can also pay to explore the St Mary’s Church Complex in Axum (200 birr) although access for women is restricted and no one can see the Ark of the Covenant Chapel which supposedly houses the famous tablets on which the 10 commandments relayed to Moses are written! In the evening, the great Antica Cultural Restaurant offers a super selection of local food and the chance to see some of the bonkers Ethiopian dancing, which is a must on any Ethiopia itinerary. 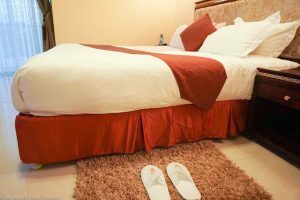 Super well-priced and with some lovely staff, Vision Hotel is easily the best budget accommodation in the small town of Hawzien. Hopefully you will have got an early night in Axum, because an exploration of the Tigray Churches can be an energetic and adrenaline-filled day to say the least! 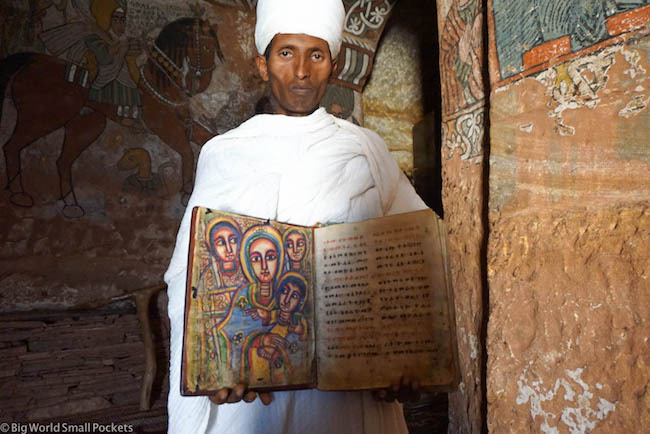 Some of Ethiopia’s most impressive religious buildings (and that really is saying something!) 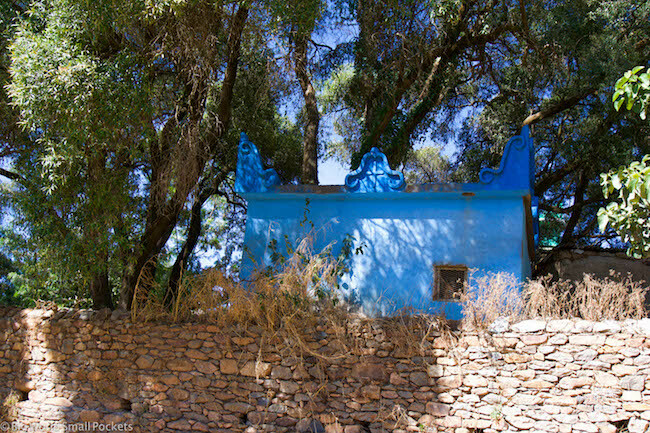 there’s over 150 Tigray Churches to choose from, but the main ones you must see are Daniel Korkor, Maryam Korkor and Abuna Yemata. All 3 of these are located at a great height in the mountainous landscape here and largely hidden in caves, which is why you’ll need a guide, a scout and some transport to reach them. There’s a quite a bit of uphill hiking involved, as well as some fairly terrifying barefoot rock climbing (!) 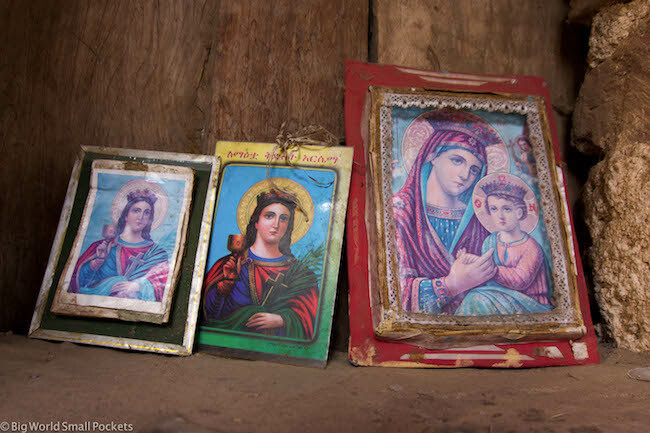 but make the effort and you’ll be rewarded with some an insight into some of the most remote churches in the world, filled with religious murals and ancient artefacts that are yet to even been recognised by UNESCO! It really is worth taking a tour to see the Tigray churches from Axum rather than having to try and orchestrate the whole thing independently. Finish your night in the nearby village of Hawzien, as you’ll probably be just about ready to collapse! 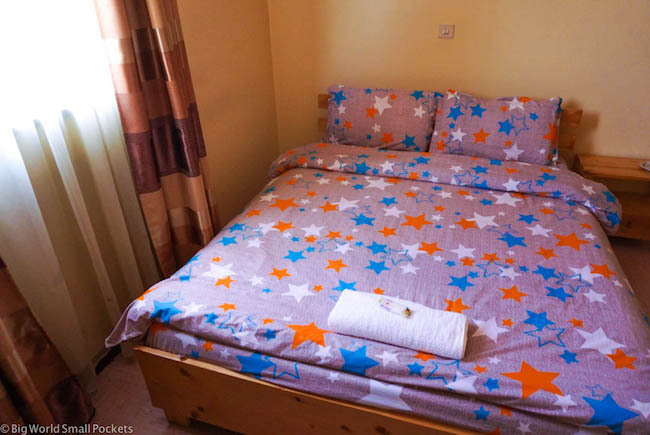 I love this family-run guesthouse which has super modern-looking bedrooms, and is unbelievably comfortable and clean. 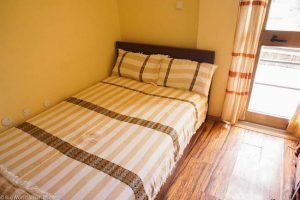 Well-located, with free wifi and ensuite rooms with their own balcony, this is a no-brainer when it comes to budget accommodation in Mekele. 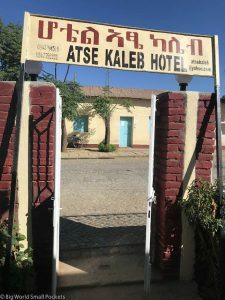 Mekele is a big student town and a really fun Ethiopian city to explore, which felt safe and offered some lovely cafes and bars. Driving here from Hawzien is possible in a few hours, then there’s a museum, monument and church you can explore. Most people just use Mekele as a base however in order to prepare for their Danakil Depression tour and a day of rest and re-cooperation here is probably a good idea! Without a doubt one of Ethiopia’s Africa’s most dramatic destinations, the Danakil Depression is one of the lowest, hottest, driest places on earth and the highlight of many people’s Ethiopia itinerary. 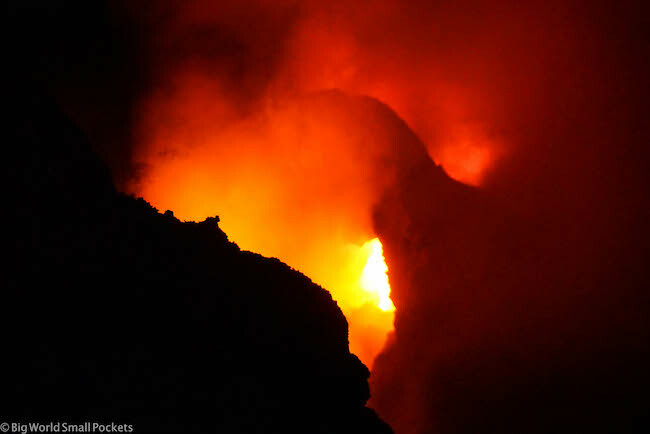 A huge expanse of volcanic landscape set some 100m below sea level, due to security reasons – both political and geographical – you must take a tour to the Danakil Depression almost all of which leave from the city of Makele and last either 3 or 4 days. 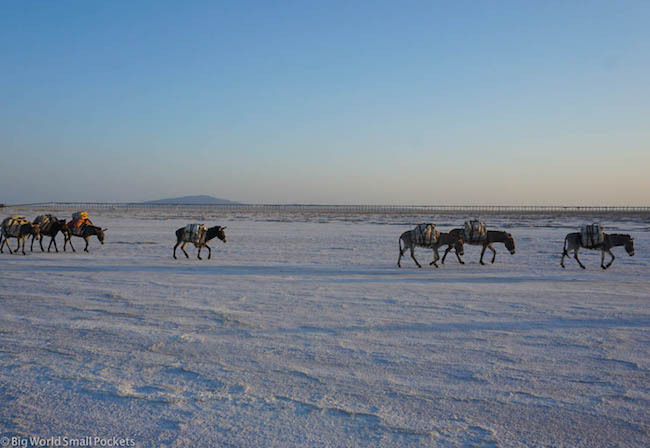 As a brief intro however, you can expect wild adventure travel, rough sleeping under the stars, salt lakes, active volcanoes and bubbling sulphur pools in this otherworldly landscape amidst a mind-blowing tour you’re unlikely to ever forget! 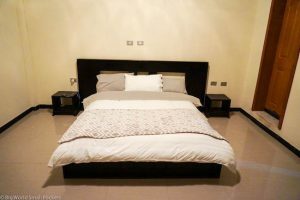 Return to Mekele on the last night of your 4 day tour to enjoy a hot shower and sleeping in a bed in Afeworki Guesthouse…. You’ll need it! #1 Headlamp – Necessary for those all too frequent power cuts! I love my Black Diamond Storm headlamp. #2 Travel Scarf – Be it covering your shoulders in churches or covering your face from the dust, a good travel scarf is a godsend in Ethiopia. #3 Ethiopia Lonely Planet – This is the perfect companion to your travels in this crazy country! 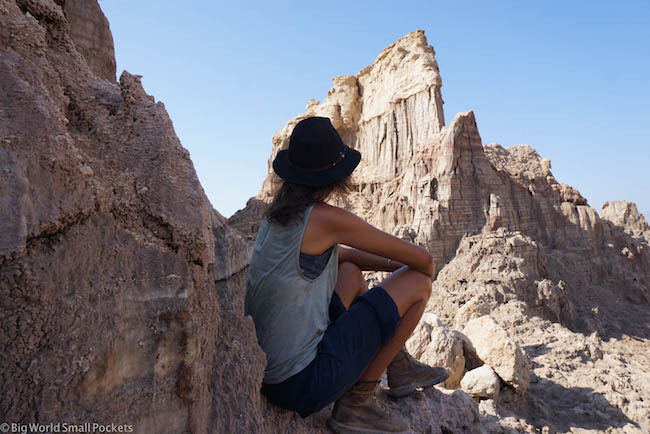 #4 Hiking Boots – From the Simien Moutains to the Tigray Churches and the Danakil Depression, some good quality hiking boots like KEEN Targhee II’s will be invaluable for this itinerary. #5 Long Trousers – Dress standards are conservative in Ethiopia and in most of the country, it gets cold at night. A pair of good hiking trousers, like these from Columbia will cover all bases. This superb budget hotel in Lalibela offers the best views in town from its incredible private balconies as its elevated position give you the most spectacular sunrise and sunset snaps. There’s also a great restaurant and garden here, as well as free breakfast and free wifi included in the deal. The owner Shimi and his sister are wonderful too! Check out my full review of Red Rock Lalibela Hotel here. 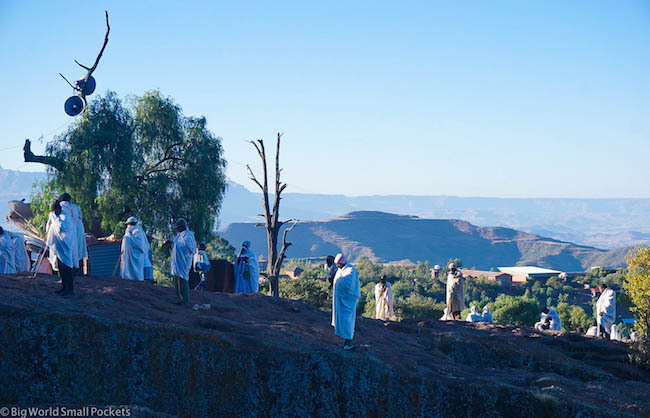 Yet another UNESCO-listed site on this Ethiopia itinerary, the town of Lalibela is famous for its ancient churches, which are truly magnificent. Carved out of the rock and filled with ornate paintings and ancient artefacts, there’s 2 main groups of churches very close to town (the north group and the south group), plus the iconic St George’s Church or Bet Giyorgis as it’s known. All of the churches can be viewed in a long day – with the best day to do so being Sunday as you’ll get to see the incredible morning mass then too. Entrance is a pricey $50 USD to see all the churches, but trust me, it’s worth the splurge as the spectacle of these churches really is unforgettable. The ticket is also valid for 5 days so you can go back and visit the churches anytime within the period. That said, I would advise getting a guide on the first day at least so the significance of the rituals, symbols and motifs can be conveyed to you. Highly recommended is Mulu who led me around Lalibela and whose excellent English and incredible knowledge truly added to the experience. He can be contacted on via Whatsapp or calling +251 93 543 8503. Mulu can also organise tours for you to visit the other churches or top hiking spots outside of Lalibela the following day if required too. While you’ll have to pay extra for this, as well as additional entrance fees, it will undoubtedly give you even more of a chance to see the stunning Ethiopian highlands and the magic of the ancient mythology that inhabits them. 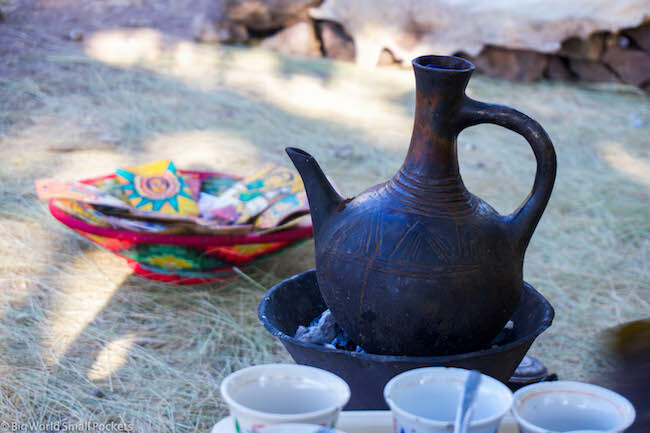 On your last day of your Ethiopia itinerary, return to the capital ahead of your departure and enjoy your final taste of Ethiopian cuisine and culture at the much celebrated Habesha 2000. Make sure you pay your respects to Haile Selassie in one of the city’s most beautiful churches – Trinity Cathedral – too! 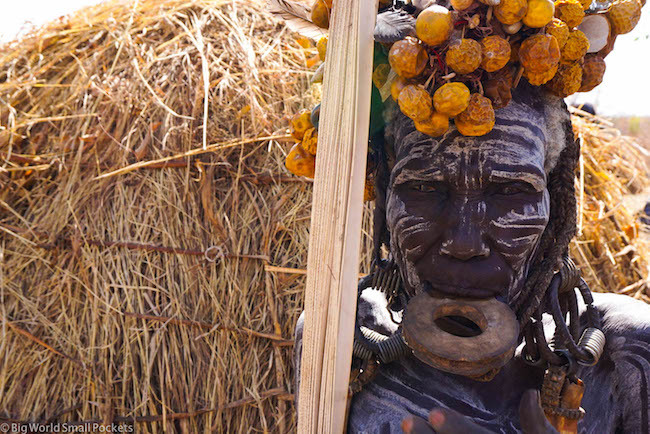 With 3 weeks up your sleeve, I suggest completing the above Ethiopian itinerary, followed by a week long tour to the incredible Omo Valley region. Filled with incredible African wildlife, including hippos and crocodiles, Omo Valley is also famous for its indigenous culture and visiting different traditional communities to view their cultural practices is a key part of exploring this area. Tours normally depart from Addis and involve a flight to Arba Minch or Jinka from where you travel by road around the region. At the minimum, I suggest a 5-day tour to Omo Valley as this will give you enough time to visit around 5 or 6 of the various ethnic groups in this area and to view the wildly different ways in which they live. Some of the most popular communities to visit include: The Mursi, The Hamer, The Ari and The Konso. Heading to a few of the weekly local markets these people hold is also really worthwhile. Try to find out whether there is a Bull Jumping Ceremony taking place that you can attend too – you won’t forget it in a hurry! READ MORE: Why the Omo Valley is Like Nowhere Else on Earth! With 4 weeks to play with for your Ethiopian itinerary, follow the 3 week programme above, giving yourself 4 days to hike in the Simien Mountains, rather than just a day trip. 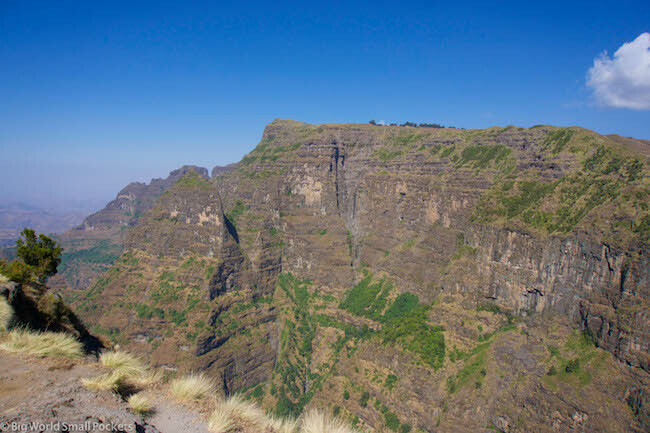 Overnight trips in the Simien Mountains can easily be arranged from Addis, Bahar Dar or Gondar and include sleeping in various lodges within this national park, hiking between them during the day in some of Ethiopia’s most stunning nature. 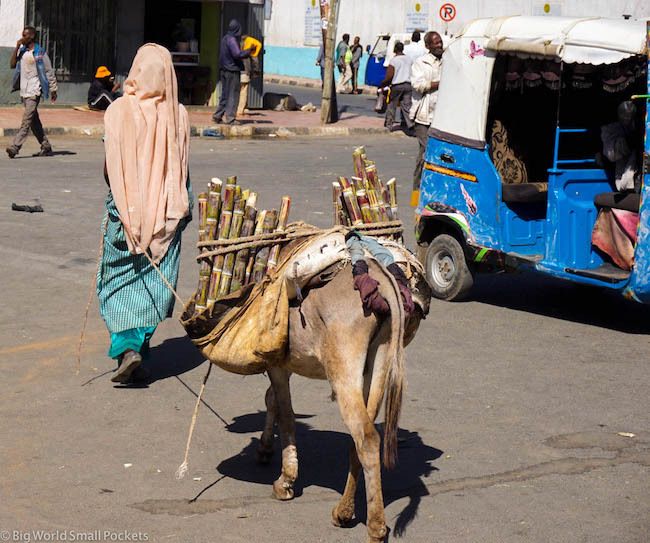 After your return to Addis – either before or after the Omo Valley – you could then take a flight to the city of Dire Dawa and from there catch a minivan or taxi to the UNESCO walled city of Harar for a few days. Here you can feed wild hyenas, get lost in the winding cobbled streets and visit some of the best markets in Ethiopia. For more ideas about what to do in Harar, check out my guide to the city here. Again I do advise taking a guide to get the most out of your time in this great Ethiopian city and the wonderfully bright and cheery Adisu – a local Harari with incredible English comes highly recommended. Contact him on +251 94 299 6221 and he’ll come and meet you! In terms of budget accommodation, it’s hard to go past Anisa’s Guesthouse. 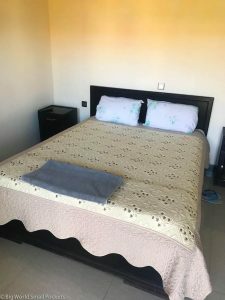 Situated right in the centre of the old town, this traditional house has the perfect location and the ladies who work here are lovely. 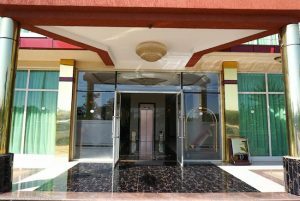 Call to reserve a 400 birr room on +251 9 15 33 00 11. With the Djibouti border not far away, continue on to this little discovered country or make your return to Addis. So there you have it, my ultimate Ethiopia itinerary. Have I convinced you to visit this incredible country yet? 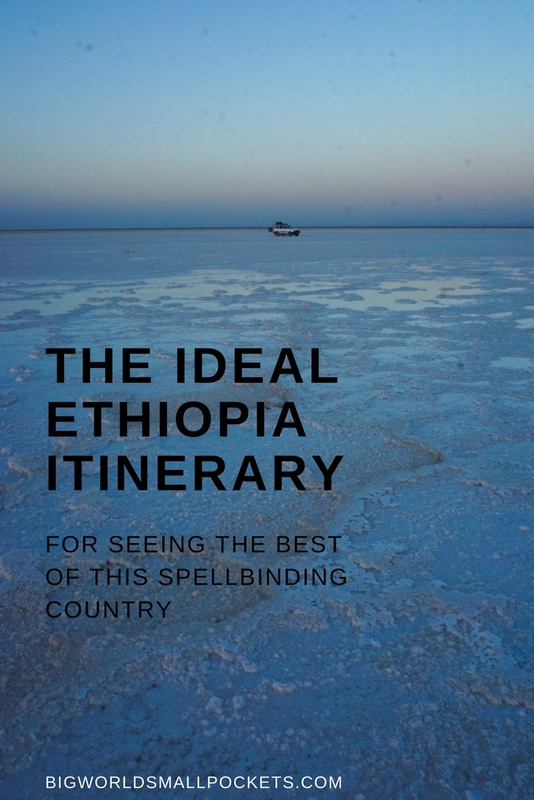 Thanks, i enjoyed reading your The idesl Ethiopian Itinerary. You have convinced me to visit dalol. On day 5 Axum you discussed about Mekele not Axum, is that deliberate. I also thought including some figures like ages or years would add to your convincing your audience. Great job!! Oh my goodness Daniel, thank you so much for the heads up – it seems a whole 3 days of the article had somehow been deleted! (Probably me working too late into the night and making silly mistakes!) Anyway, Day 5 6 & 7 have now been restored to the post, so you’ve now got the full itinerary again! So happy I’ve convinced you to visit Dallol as well, you won’t regret it! When you say ages or years, so you mean how old things are in Ethiopia or ??? Hi Steph – would you suggest going to Bale Mountains? Or is Simein enough? That is music to my ears Olivia. 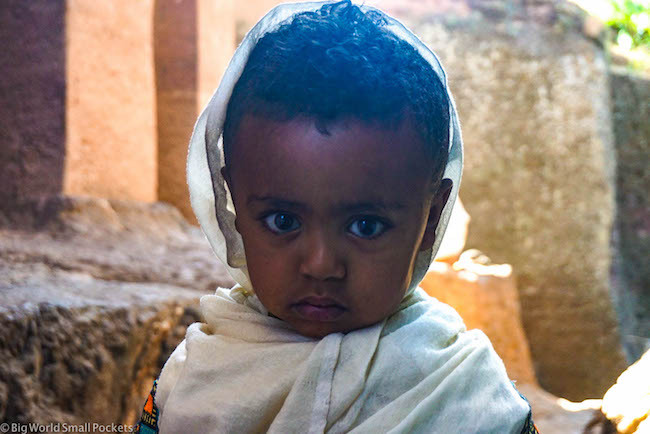 So happy to hear you like the blog and even more delighted to know you will be heading to Ethiopia! Hi – please can I also ask. Did you do the Omo tour independently or with a group? I was paired with a small group by ETT – there was actually just 3 of us, so it was perfect! Request a small group when you book is my advice! Hi there. I loved reading your posts on Ethiopia. I’m planning to go there soon, but only for a 6-day trip. What would you suggest I kick out from the 2 week itinerary? (A really tough question, I know!) but really grateful for your help! Hi, thanks for your story. I first had some doubts about going to Ethiopia for a holiday, but reading your story really makes me excited. I am planning to go end of September and first week of October for three weeks. How many flights did you take in Ethiopia? And what would be a good budget for a week. Can imagine some tours are a bit more expensive, but drinks, food and accomodation do not seem to be too expensive, right? Great two week itinerary, however how did you incorporate travel time in to getting to all the destinations. Everything is very far apart and I dont see how to follow the itinerary even if you fly. Steph, this is great! We are looking at 15 days in Ethiopia over Dec 20-Jan 5, and are certainly interested in some guides and insider tips. Hmm… thoughts about going there over Christmas? I wish we could stay for the Orthodox Christmas, but unfortunately cannot. Thank you Steph for all these details !! We plan to go there second week of October from Nairobi. We will spend 6 Days so we are following your 12days travel and removing Axum & Mekele & unfortunately Danekil. I’ve been reading your posts about Ethiopia lately and I am getting so excited! Travelling there in less than 2 weeks! 🙂 Would you recommend me any travel agency to book my tours with? I believe I will follow your 2-week itinerary! Thank you very much! Hi Ivan – wonderful to hear you are heading to Ethiopia soon. I’m excited for you! I recommend Easy Ethiopia Tours. You can find them at http://www.easyethiopiatours.com. They are run by my friend Gashaw. Thanks and hope you have a wonderful time. Hi steph, I’m thinking of doing a couple of tours with Easy Ethiopia Tours because their prices are really competitive. But I don’t see any reviews online, just none, so I’m a little sceptical about the company. They also ask to pay 50% upfront via paypal. What was your experience with them? Did you also have to pay in advance? Hi Steph, very exciting itineraries mapped out. Thank you for the ideas contained in them. Sadly, I think the most time I will have will be between landing lunchtime in early Jan (Wed 2nd / Thu 3rd / Fri 4th) and leaving nine days later (Fri 11th / Sat 12th / Sun 13th) . So in the country for ten days with nine nights. Will not be arriving with Ethiopian Airways but other major airline. What would you recommend for that time span. I will of course look at your itinerary again above but would like it too if you could suggest something for me! I like the idea of contrasts and don’t mind early starts and late nights and so on if need be to fit stuff in. Hi Sim – in order to make the best itinerary it would be good to know if you’re more interested in nature / hiking or history / culture. For nature / hiking, I’d suggest Day 1: Addis, Day 2: Bahar Dar, Day 3: Gonder, Day 4&5 Simien, Day 6: Makele, Day 7,8,9: Danakil Day 10: Return to Addis. Hi Steph, thanks for the great post, it’s been so helpful while I try to play my two week trip to Ethiopia! Just one question, how did you get from Mekele to Lalibela? Hi Maro, so happy you are enjoying the piece. I actually visited Lalibela first (because I didn’t know what I was doing so much then!) and then flew direct from there to Makele. As such, I’m guessing you would be able to do the opposite. There’s also the bus option – not direct, you have to spend the night somewhere – but an option. accidentally, and I am surprised why this accident didn’t happened earlier! We would appreciate any thoughts you have on this matter. Hi Linda, I tend to use the gov.uk foreign office advise, which I find way more accurate when it comes to realistic assessments of dangers and threats. It’s less conservative than the US one, and I found to largely be better. The Danakil does have its risks, no point denying that, and incidents have occurred in the past. But I felt safe there and many people travel there each day. Unfortunately, I can’t say for sure and you will have to make that call. Would I go? yes, but is it 100% safe? no. Thank you Steph. Your response was pretty much what I was hoping for…individual comfort level. Also will check UK gov website. Hi, I was considering a trip to Ethiopia for a month and now started realizing how I really should use that month wisely. I was wondering about the budget I should keep in my mind. I usually stay quite low budget with accomondation, food and transfer but am okay with spending more on the interesting things. How much would a tour to the Omo valley cost? And the other tours you mentioned? Would love to hear back from you! I am thinking about going in July after my trip to South America to be blown away by a total different country with such an interesting culture!! I’m planning to go there soon, but only for a 8-day trip. What would you suggest I kick out from the 2 week itinerary? Oh gosh, now there’s a question. Honestly, if push came to shove, I’d miss out Bahar Dar and Addis and keep your time in Axum and surrounds short. That’s really hard though! Hi Steph – great blog. Just wondering how you got from Axum to Hawzien and saw the churches all in one day? Any of the tours I’ve seen has been for 2 days as you need almost one full day to get to Hawzien. Also wondering if it is cheaper to taxi to Hawzien separately and then pick up a tour of the Churches from Hawzien? Just stumbled across your great blog! I am looking to plan a trip at the end of the year and this is an excellent itinerary. Just curious to know how you got around in each of the place when you weren’t on a tour? Thank you so much for all the information in your blog. It’s very useful and inspriring. I’m leaving to Ethiopia in two weeks and I got 3 weeks to travel around the country. The only thing I booked so far is my return flight (with Turkish Airlines) and two nights in the guesthous that you recommended in Addis. – Did you feel safe as a woman traveling on you own? (I assume you were traveling solo?) Is there anything that has to be known, apart from behaving and dressing respectfully of course? -Did you book the tours in advance or when you were in Ethiopia already? -Did you meet some other solo travelers on your trip or is it mostly organised groups? 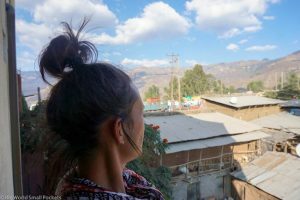 – I’ve written a whole post about solo female travel in Ethiopia so please search that via the blog to learn more – in short though yes, I’ve always felt safe there. – Visacard is fine in Ethiopia, it’s Mastercard that can be more of a problem. There are ATMs in all towns and cities, although with power cuts they don’t always work. It’s hard to give an idea of budget without knowing how many tours you are going to take and whether you will fly or bus around the country, but you should budget at least $50 USD a day BEFORE TOURS / FLIGHTS if you want to stay in cheap private rooms and enjoy many cultural sights and good food. – Loads of solo travellers out there now, you will meet many in Addis especially as this tends to be a backpacker hub. Thank you so much for your quick response, Steph! You definitely helped me a lot. Once again… Your blog is great and the information you’re providing is more than useful! Cheers! And… Safe travels for you all the time! Thank you for such an informative itinerary! I’m planning a trip for next month and was wondering if you think planning a trip around being in Lalibela on a Sunday is worth it? Is there significantly more activity on this day than on other days? Thank you!